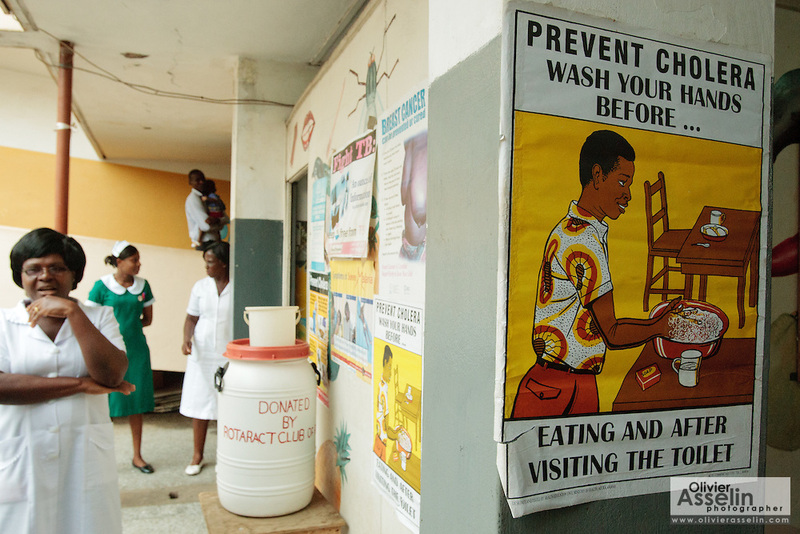 Ghana: 25 April 2012, Poster promoting hand-washing for the prevention of cholera at the Princess Marie Louise Children's hospital in Accra. The GAVI Alliance is a public-private partnership that brings together developing country and donor governments, WHO, UNICEF, the World Bank, the vaccine industry in both industrialised and developing countries, research and technical agencies, civil society, the Bill & Melinda Gates Foundation and other private philanthropists. Set up in 2000 as the Global Alliance for Vaccines and Immunisation, GAVI's mission is to save children's lives and protect people's health by increasing access to immunisation in the world's poorest countries.